As one of the smaller Penny Arcade Expos, PAX South remains a great destination for indie designers and publishers. This year Capcom dominated the showfloor with Monster Hunter: World, but bigger indie publishers like 1C, TinyBuild, Annapurna, Devolver Digital, and Crytivo also drew large crowds. Microsoft’s Mixer booth proved a popular destination, with the Hunger Games-like Battle Royale Darwin Project letting onlookers vote to help, or hinder, the players. Here are the 20 most exciting indie games we saw at PAX South 2018. Survival-crafting games are a dime a dozen, but We Happy Few’s real joy is its immersive world and how it plays with conformity and hallucinatory drugs. What if you had to survive in a BioShock-esque world without all those fancy plasmids and guns? Instead you’re armed with rotten food, pointy sticks, and one very special drug. We Happy Few began life with a successful Kickstarter campaign before hitting Steam Early Access this Summer. The game combines survival-crafting into a unique setting rarely explored in gaming – the drug-fueled, post-war 1960s. 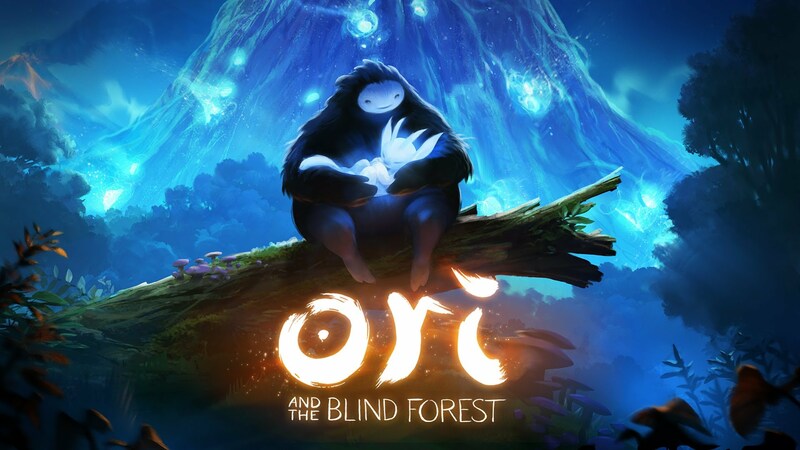 This initial Early Access version features most of the gameplay sans story, and with only the one playable protagonist. In this world’s alternate history, World War 2 went very, very badly for England. The Nazis successfully invaded and destroyed much of the country, leaving its population frightened and destitute. But that doesn’t mean you have to stop enjoying life right? One little happy pill called Joy, and all your real world problems simply melt away. The people in the island city of Wellington Wells may harbor some deep secrets, but most of its drug-addled citizens don’t seem to care. Except for you. A list of 12 of the most exciting indie games I saw and played at PAX South 2016. We’re at a point now where each month has a gaming, comic, or tabletop convention to be excited about. 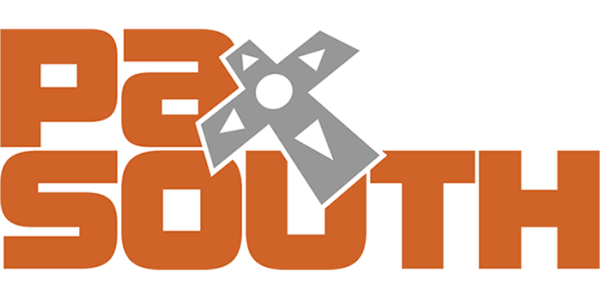 PAX South is now in its second year and has a much bigger focus on indie gaming. Few big publishers have much to show in January. Hopeful indie devs were there to fill the gap. Below is a list of some of the most notable games I saw at PAX South 2016. In a world of black and white, one chameleon discovers a hidden temple full of color. Our hero can absorb color from any object in the world and apply it anywhere else. Painting water creates a solid surface, while matching colors on a door opens it. Puzzles are forgiving and the non-violent world is kid-friendly. Armature Studios had a neat booth capable of 5v5 matches in their top-down space shooter. The developers described Dead Star as a League of Legends-style MOBA in space. Players can choose between multiple classes and ship designs. Teams will need to work together to secure outposts on the map. The arcade-like gameplay was immediately fast and intuitive. The full game will allow 10v10 matches, leading to some deliciously chaotic space battles. I spotted the peaceful parasaurolophus drinking by the river. I sent a rock flying from my crude slingshot, and my tamed pair of dilophosaurus shot out from beside me, chasing the fleeing herbivore across the water. Dangerous things lurk in the water, like megapiranhas. I was nearly killed just making the brief swim. I lacked a Chris Pratt-style motorcycle and quickly lost sight of both my quarry and my dinosaurs. On the far side of the river, I watched in stunned silence as a Spinosaurus attacked a herd of brontosaurus. I was snapped back to reality as a pair of giant killer wasps suddenly bore down on me. I fled right into a pack of wild dilophosaurus. My screen turned black as their spit hit my face, and I died to a frenzy of claws and teeth. Welcome to the world of ARK: Survival Evolved, a prehistoric island where humans are the lowest on the food chain. 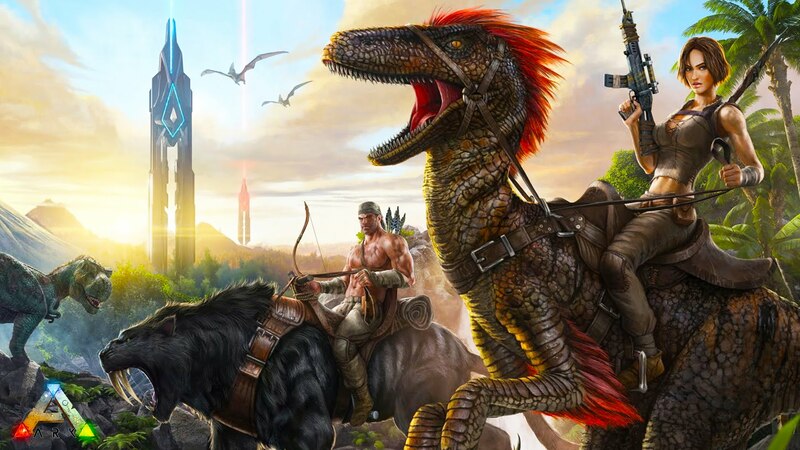 ARK: Survival Evolved contains the usual checklist for the popular survival genre that can trace its roots back to Minecraft: constant food and water needs, building and crafting increasingly complex buildings and items, and a big world to explore. ARK also happens to be one of the best-selling games of the year, though it’s still in Early Access. Originally launched on Steam in June, ARK had the distinct advantage of featuring a gorgeous premise with an island full of dinosaurs and other prehistoric critters right when Jurassic World was taking over the cinema. Since then ARK has gone on to sell over a million copies, becoming a huge hit on Twitch.tv and YouTube. Despite a lot of frustrations with the difficulty and combat, the open-world city and 80s theming were pure joy to explore. My generation seems especially infatuated with their nostalgic childhood. The 80s had an explosion of cartoons, kid-centered commercials and advertisements, action figures, brands, and movies. And of course, the birth of the modern video game industry. Retro City Rampage squeezes every last drop of 80s pop culture into an 8-bit, top-down Grand Theft Auto-style city. The player character, named “Player,” looks exactly like the coiffed, leather jacket-clad silent protagonist from Grand Theft Auto III. After a fun and zany bank robbery tutorial, you happen upon the phone booth time machine from Bill & Ted’s Excellent Adventure, then meet up with Doc Choc driving the DeLorean while fleeing from the T-Team and a familiar group of green-skinned turtles emerging from the sewers wielding ninja weapons. Retro City Rampage is brazenly unafraid of assaulting you with every reference you can imagine from that era. You do a chain of missions for the Go-Go Busters, a clean-up crew that deals in slime and goo from…er…human bodies. Shops are called “Pizza Gaiden,” “Skate ‘N Buy,” and “Toadstool Tatoo.” The local anchorwoman looks like Chun-Li. There’s a series of missions involving Bayshore High, working for Principal Balding and dealing with a familiar group of high school students. It’s a rapid fire assault with a razor sharp focus on wink wink, nudge nudge style comedy, and it permeates everything from the dialogue and situations to the gameplay and background artwork. Your love and familiarity with the 80s will directly affect your appreciation of the entire game. The actual gameplay is very reminiscent of the old Grand Theft Auto games (that would be the first two, before they evolved 3D open world gameplay forever with Grand Theft Auto III). The city is alive with cars and pedestrians, and you’re free to assault random people, jack their cars, and run them over. Police response is fast and quite deadly if you’re on foot (they always go for the roadkill) but a handy mechanic that results in them dropping cloaking coins upon death gives a huge incentive to fight back, then run away – a concept that I would love to see in every actual GTA game. Driving takes a bit to get used to, as all top down driving games have that same awkward driving scheme that orients your directional control to your car, regardless of which way your car is facing. I rarely had any problems driving and the camera thankfully shifts in whichever way you’re going, giving you plenty of room to adjust on all but the fastest vehicles. Standard cars like taxis and muscle cars are plentiful alongside a couple fun joke cars like the Yoshi-inspired Bikosaurus and covered wagon Dysentruck. On foot the 8-bit game is given a nice modern day upgrade with lock-on capabilities and a cover system, neither of which I used much due to the fast-paced zaniness of most combat encounters. Dodging the little white bullets when there’s more than a few foes on screen becomes almost impossible, and often the best course of action is to simply dive into a horde of enemies using your Mario-inspired stomp attack. I suspect the developer realized how useful this simple ability was, as during the finale you get a super-powered upgrade that allows you to stomp down with explosive force. There are a bunch of collectibles to grab: hidden packages, phone booths, and the rather funny discovery of all the invisible walls used throughout the adventure. Many of the shops can actually be entered and used to customize your little 8-bit avatar with different amazing 80s-inspired hair styles, hats, sunglasses, and tattoos. I rocked the sombrero for awhile before settling on the Last Action Hero mullet and bandanna look. The biggest activity are the rampages. These should be recognizable for any GTA fans and operate in exactly that style: you’re given unlimited bullets to a certain gun and told to do as much damage as you can in a limited time. Some tasks get a bit inventive – there’s a rocket launcher challenge that only rewards air time from the blasts and a hover suit challenge (which looks exactly like the raccoon tail from Super Mario Bros. 3) that tracks all your stomp attacks. They’re a fun and slightly structured diversion from just free roaming chaos or completing the story missions. Like GTA there is a main set of missions that take you through the story in addition to wrecking havoc around the city. Unfortunately any hope of getting a clever plot is wasted on a story that simply involves collecting all the various parts to the broken time machine. The missions themselves range from fun to frustrating and often open up additional side missions that can be completed, like working for the aforementioned Go-Go Busters (who’s electron proton pack gun is fan-freaking-tastic). The final mission started out great – getting attacked by a horde of police forces with tanks and helicopters, then having to fight your way out of a sadistic murder-happy reality show. Its scope and grandeur is frustratingly misplaced once you reach the final castle area. The combat quickly gets repetitive and more difficult than fun. At one point an entire dungeon is reset with enemies armed with rocket launchers and I easily died a dozen times just trying to walk around. I did appreciate that VBlank shoved as many NES levels as they could into this lengthy finale – an underwater Super Mario Bros. section, a side scrolling Battletoads venture, a 3rd person driving finale a la Pole Position. That driving bit at the end was just awful by the way. I never enjoyed those old racing games much as they come down to having to repeat and memorize sections, and Retro City Rampage combines that with a frustrating boss battle that fires missiles while you drive. It took me at least half an hour on this last section alone, and I was so over it by the time I was done that it really soured my entire experience. Despite a lot of frustrations with the difficulty and combat, the open-world city and 80s theming were pure joy to explore. An open world game that doesn’t take itself seriously is nothing new to Saints Row fans, but embracing the spirit and attitude of the 80s so completely is an impressive feat nonetheless. It’s fun to grin and laugh over the classic Metal Gear translation errors. I loved hopping on a bike and playing through a Paperboy level. These nostalgic trickles work well because they’re short and sweet and hit all the right notes without being long enough to be frustrating. Final Say: If you loved growing up in the 80s you’ll find a lot to like in this 8-bit GTA-style adventure.